When it seems like your son or daughter won’t stop reminding you they want to be a drummer or maybe you have always wanted to play the drums, take a moment to consider taking drum lessons. Why? Because there are two ways to learn to play the drums (or music for that matter). When a person starts learning to play on a drum set learning by ear they normally find it frustrating and they don’t seem to make much progress. It’s usually sooner than later too. Playing drum music and learning to enjoy the experience is a very rewarding personal activity and with the right basics can last for life. Great joy can come from learning to play drums and percussion instruments. It’s like learning a new language. It’s important to develop hand skills with rudiment patterns, counting patterns, and combining them to play the drums. Then the feet are added. This can greatly complicate those patterns. This is where patience is needed. If you ultimately want to sound like the players you admire on the recordings there’s a process to get there. It’s not like getting instant gratification from Amazon however it is well worth the time and dedication. 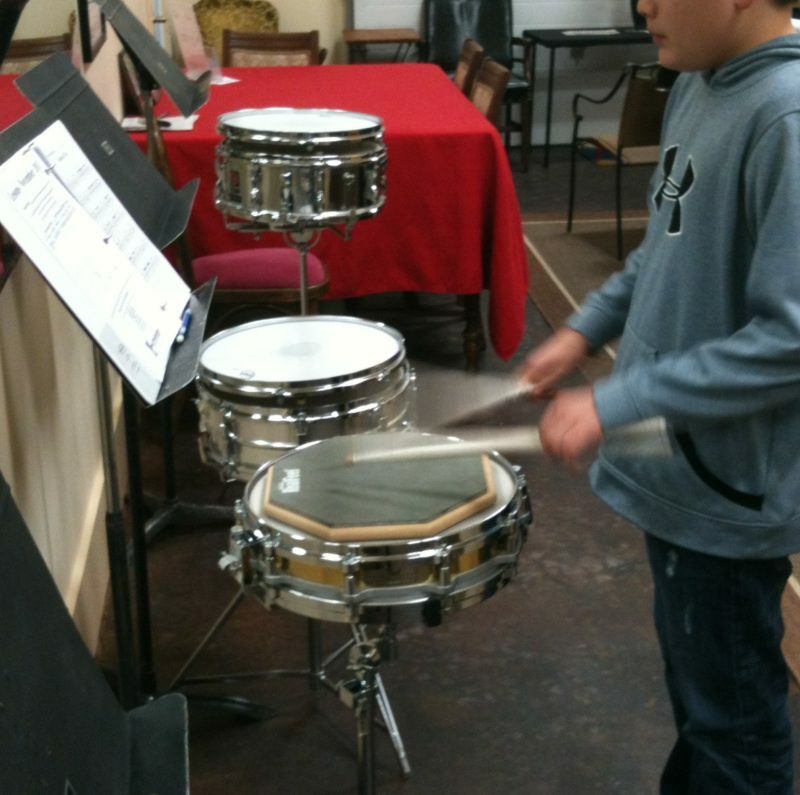 There is a “right” age to start learning to play drums and percussion. I’ve found through many many years of teaching that students younger than about age 7 don’t understand basic math enough to learn the reading and counting skills used in drumming. Drum rhythms are math in application. If mom and dad buy them a drumset they usually find that it’s fun to beat on the drums and even learn a drumset beat or two. They might even go as far as playing in a small group at a school mimicking popular songs. It’s fun. It’s also like learning a new language by ear. It will only take you so far until you realize you are partially illiterate with other musicians. Then you decide whether to start over and learn the basics, keep playing by ear or picking another hobby. There’s nothing in music more discouraging to a teacher than seeing a student who’s been rewarded generously for a long time and affirmed that they’re talented only to find they never learned some of the most basic elements of music skills like playing basics confidently, reading all types of music, playing excellent music and and even writing.